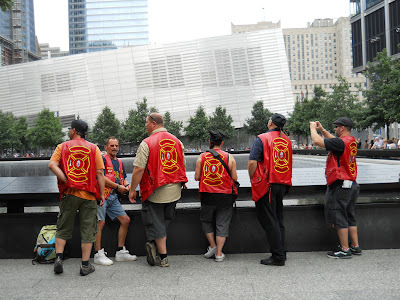 I remember exactly where I was and what I was doing when 9/11 happened. I was living in a rural area in northern New Mexico off the highway leading to Los Alamos. I had a small studio, a concrete block building with a cement floor. 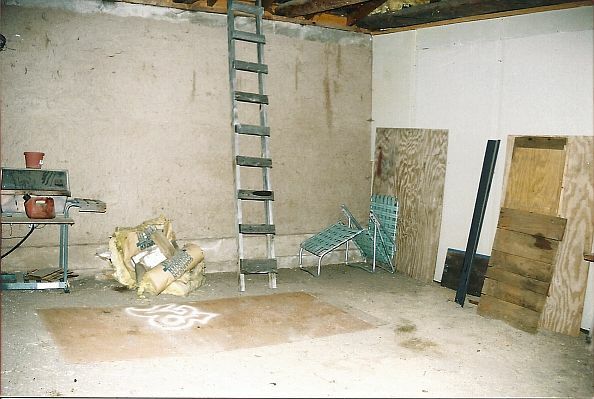 It was the first actual studio I ever owned. I didn't have a television. Well, I had one, but it was in the closet. I never cared much for tv, and anyway, the reception wasn't great where I was living. So I heard about the trade center towers on the radio that I turned on every time that I went into the studio. The announcer was detailing how terrified women were kicking off their high heeled shoes so they could run faster away from the collapsing towers. What a powerful image. When I came home from work that evening I gathered up all my high heeled shoes and threw them on the studio floor and painted them. The dark towers were in the background, dust and debris rising between them. I had never completed a painting so quickly. I entered it into a juried show in Las Cruces and my husband and I drove there for the opening. I didn't wear a name tag. I wanted to be anonymous. I wanted to watch the reactions of the viewers. I got what I came for when a woman looked at the painting, read the title, clutched her throat and gasped. Then we went home. Fast forward twelve years and I am going to another opening, this one in New York. My twelve year old grandson and his mother (my daughter) are going too. I am there for the museums and the galleries, but he wants to see: Ripley's Believe it or Not; the Blue Man Group; the Empire State Building; the Statue of Liberty; and yes, the World Trade Center Memorial (I'm amazed that he knows about 9/11.) Being a good grandmother, I accommodate most of his list, knowing I can see the museums and galleries after he leaves. I skip the Empire State Building. I don't like heights. 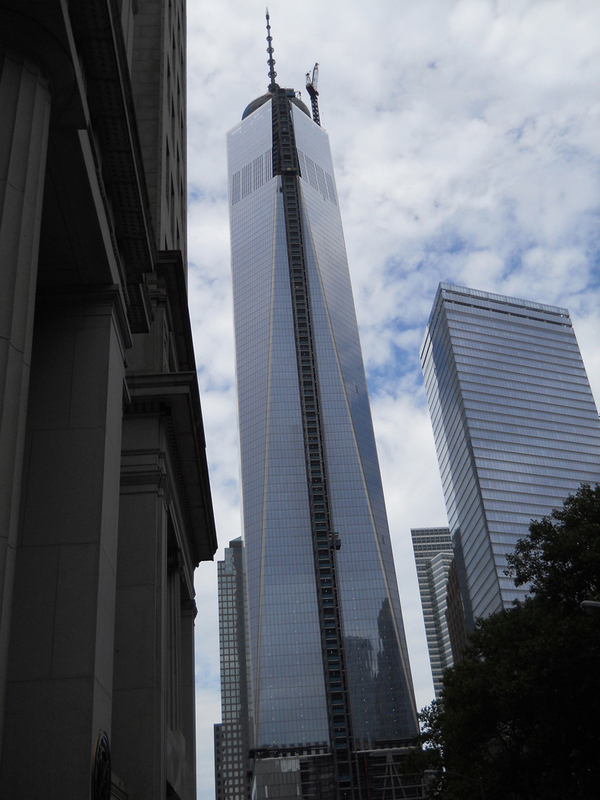 I am unprepared for the World Trade Center experience. We thread our way through long lines, several security checks, and then enter a large park with many people. Very quiet people. There are two pools. a north and a south pool (the tower footprints?) Water cascades over the sides and disappears into a black hole, just as the victims had. In front of the south pool stands a group of uniformed Swiss firefighters, silently paying their respects to their fallen comrades. In the background is a slanted museum building which will open in 2014. 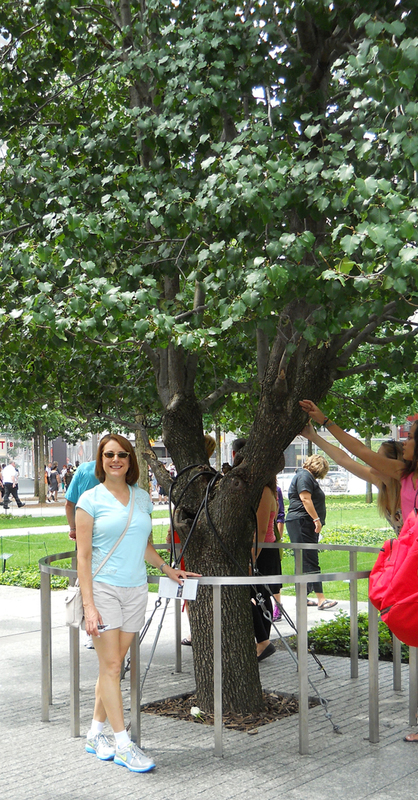 Growing in a special place within the park is the "Survivor Tree". The tree had been near ground zero and was badly decimated by the falling debris. A local nurseryman rescued it and nursed it back to health, only to have it fall victim to a vicious storm later on. It survived a second time. People line up to stroke it. 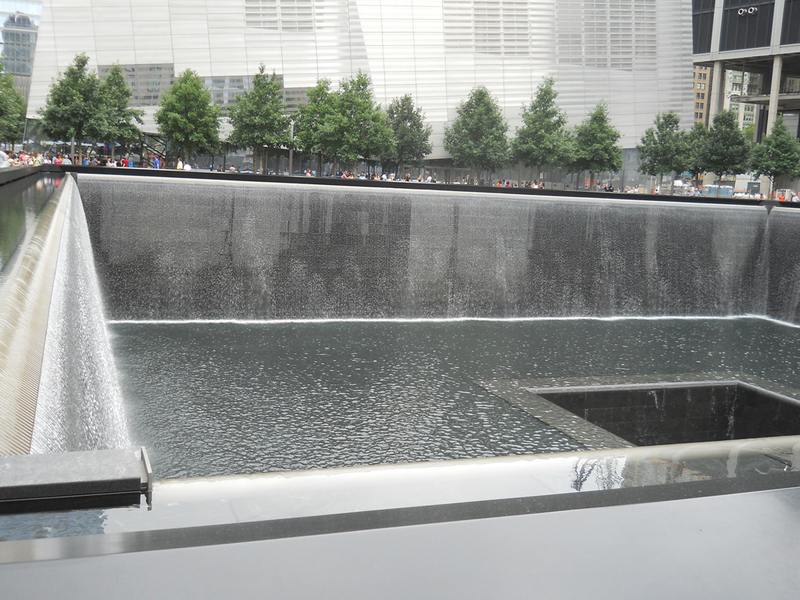 I'm not a particularly sentimental or patriotic person, but I am deeply moved by this experience. I think of the artist's mind, which understood metaphor so well; the respect the artist held for those who would view the work; the collaboration that occurred with the engineers and the builders. I came away with renewed appreciation for all of us who call ourselves artists and attempt to memorialize the the human experience, the spiritual aspects of our lives. Painting is not dead and art is just as necessary as it always was and always will be. During much of this summer (2013) the Creation/Migration project has exhibited a shared art piece that lends itself well to the discussion of process in the development of collaborative artworks. 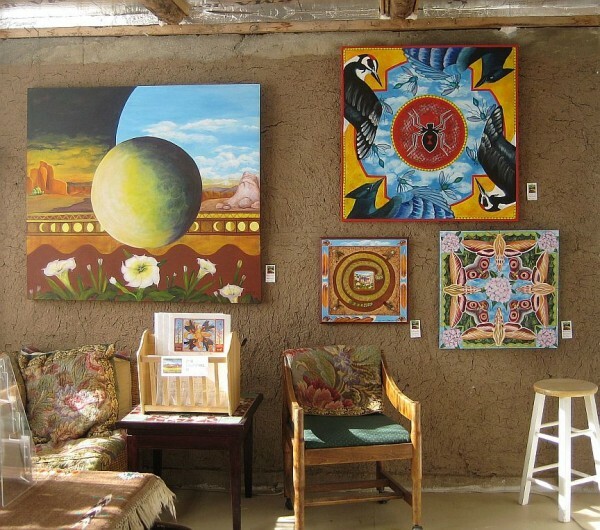 The exhibit has been at the Esther Bone Library Gallery in Rio Rancho, NM. During the planning phases we knew we would be presenting the exhibit in a library setting. In consideration of the tradition of historic figures being seen in libraries in the format of cast busts on pedestals, we decided to repeat the essence of this idea. Each of the four artists in our group created a personage that is representative of some part of her Creation/Migration story. Besides being thematically tied together, that connection was enhanced by having each persona also represent one of the ancient elements: Earth, Air, Fire and Water. In the above photograph, on the far left in the grouping, is Harriette Tsosie's piece, "A Secret". 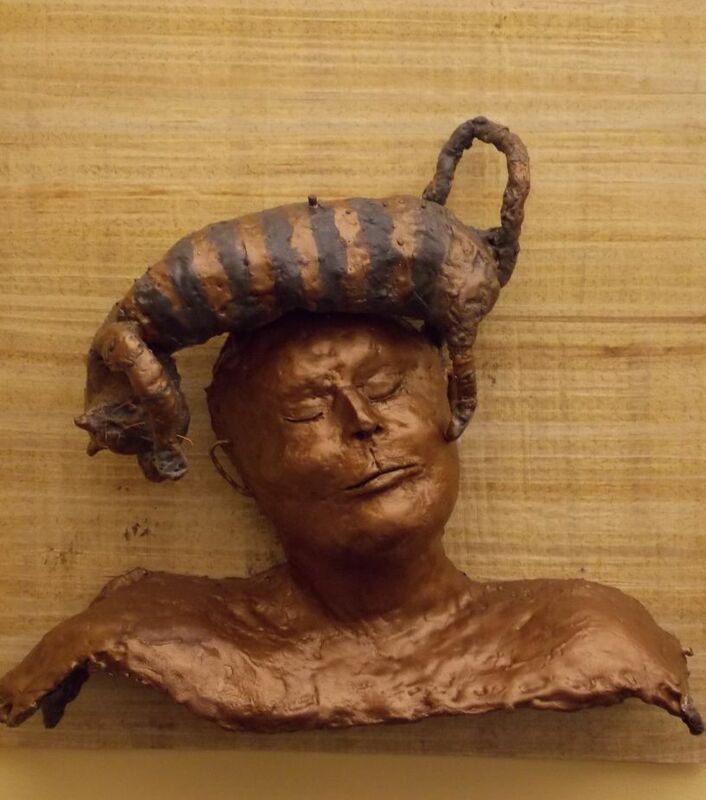 The cat has multiple meanings for Harriette as evidenced by the CAT symbols in her life, from Harriette's love of cats, to her love of a very particular CAT, and, by the way, note the catty expression on Harriette's cast face! The simulated bronze finish is created through the expression of FIRE, as are the cast bronze figures of tradition. 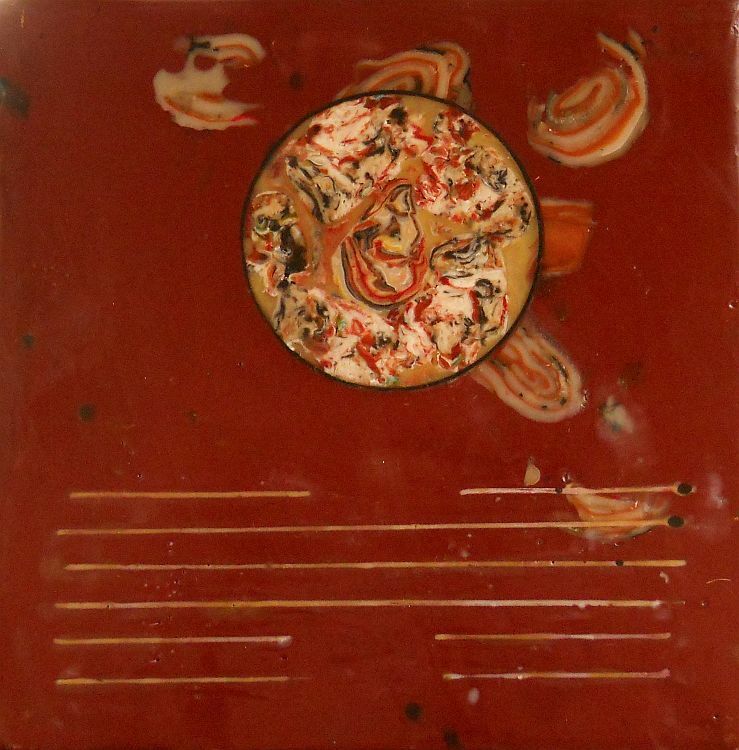 Harriette's medium of encaustic paint utilizes the heat-melted wax to produce her surface effects and coloration, bringing the transformative affect of fire to each piece. 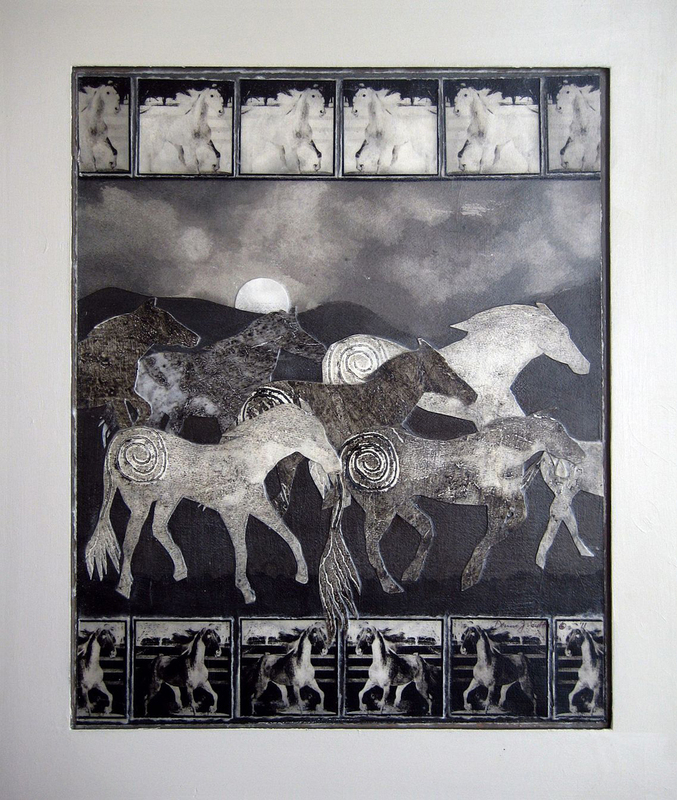 The WATER element (second from left) is brought to life in Belinda Edward's depiction of her ancestral figure. This woman speaks of the essence of her long journey from Africa. Her skin is reminiscent of underwater ripples, of whale or seal hide, of fishing nets; covered with shells and barnacles and clothing that seems more like delicate translucent jelly fish or kelp flowers, bringing the true essence of the ancient wisdom of the ocean's secrets. And more secrets are held in the shell-studded medicine bag that dangles from her neck and the wand of life-giving messages from the nestings of sea birds, as though carried on the winds of the sea. Perchta of the Alpine Forest (third from left) is Donna Caulton's tribute to her ancestry and to the EARTH element. Although her bearing is regal as the pagan goddess she represents, she is revered and feared and as earthy as a goddess can be. Donna has many Berthas in her German matrilineal line, but the namesake is unknown. Perchta (an ancient name from which Bertha was derived), then, became Caulton's chosen namesake to represent the earth elements of her female ancestry. Perchta has many faces, but the one depicted here is the goddess of weaving and guardian of the beasts. She was known to wander through the winter forests, always with spindle in hand, always watchful of the safety of the herd animals (and little children). People were careful to leave food out for her on the cold winter nights, staying in her good graces, never willing to risk her fearful dark side, one that all pagan gods and goddesses were known to possess. Kusz representation of her far matrilineal roots in Ethiopa and her near self in the Jemez Mountains of northern New Mexico. Both are grounded in and born of earth, but carried into the present on the AIR; a seed landing here, taking root; landing there, taking root; finding herself on the path of the true sojourner. It is a rare month that goes by that does not find Betsie in an airplane, making a landing at one of her many points of transformation. Each artist in this project is strongly grounded in the EARTH element. Each of the four, however, has varying depths in the other three ancient elements; fire, water and air. Perhaps it is the earth element that allows this group to function so well within the collaborative process? Please join us as we explore this question, among others, as panel presenters at the 2013 EncaustiCon conference this November (2013) in Santa Fe, NM. East End Arts is presenting its second annual juried exhibit, H2O. The jurors for this national exhibition are Peter Marcelle and Bruce Helander. The show runs August 9 through September 27, 2013. 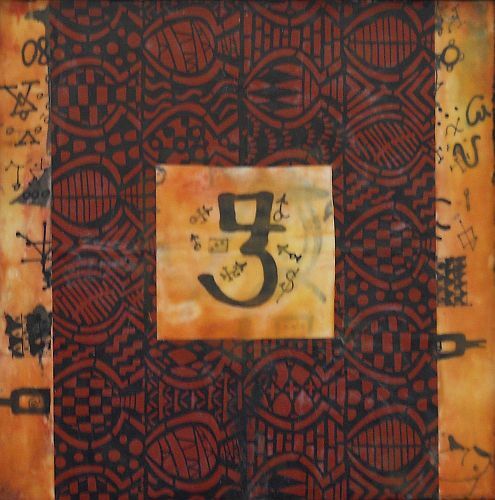 Harriette is exhibiting her encaustic piece, "Blessed Rain", a mixed media piece with encaustic, wax and dye. She will be at the opening reception Friday, October 9 from 5-7. 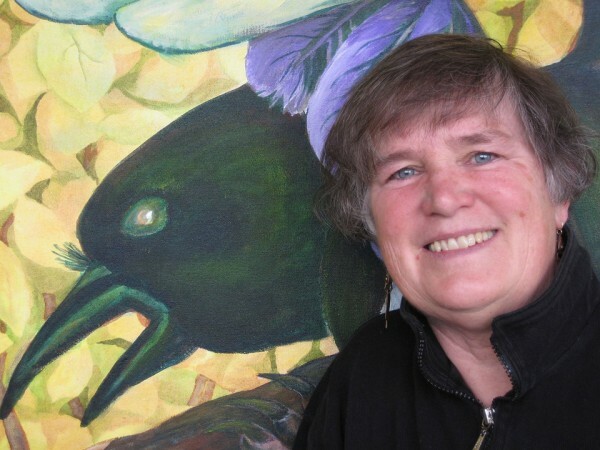 In addition to taking part in this national exhibition, Harriette has imbued a a prayerful attitude into her recent rain paintings, in hopes of rain for her her beloved northern New Mexico, where a three year drought is seemingly coming to an end. Running from May 3 until May 30th, 2013, at the Harwood Art Center in Albuquerque, New Mexico, is an exciting new exhibit titled "I HAVE A QUESTION, and There's No One Left to Answer It". 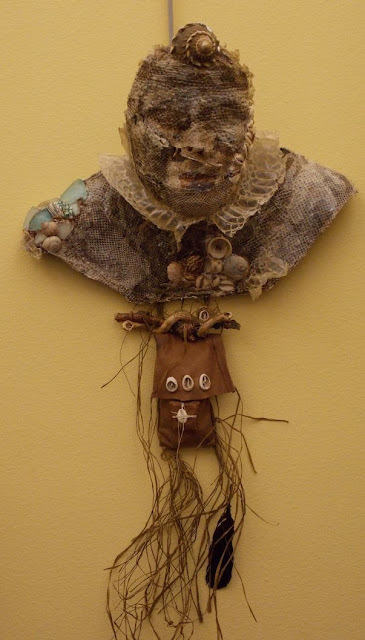 Harriette Tsosie has teamed up with another Albuquerque artist, Evey Jones, in exploring the content of historical records left by family members. The exhibition was birthed more than a year ago when the two artists discovered they had both inherited precious journals, diaries, and love letters from their ancestors: Jones, her mother’s travel journals, and Tsosie her paternal grandmother’s diaries (1900 - 1968) and grandparents’ love letters (1906 - 1911). photographs for part of her exhibition and then responded with a series of three dimensional boxes, some representing family secrets. all three are incorporated in the exhibition. This is a truly lush exhibit, and one replete with nostalgia for the grace of a long lost lifestyle. Both artists have developed these stories with love and respect for the ancestors that shine through. 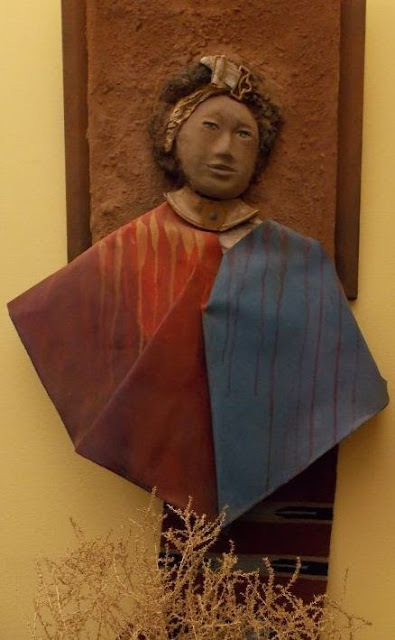 Give yourself a special treat and take in this exhibit at the Hardwood Art Center, 1114 7th St NW, ABQ, 505 242-6367. It was December 6, 2012. The winter should have been fully formed; ground covered with snow, car barely willing to start. Instead it was still nearly 60 degrees. Even the nights had not yet succumbed to freezing temperatures more common to the season. As I walked to my car I was struck by a beautiful but unnatural sight. My lilac tree, still less than six feet tall, was budding out. Leaf buds were plump and ready to pop for the second time that year. I thought so much about the unnatural nature of this occurrence and how it is reflective of greater changes in the local and world environments. On my long drive that day, other thoughts floated into consciousness and were soon intermingled, in my mind, with the lilac leaf buds. I was thinking about our Creation/Migration collaboration and what a precious "growing" thing it has become: something to be treasured and protected. Like the lilac tree, the project has begun from seed and is still in process of sinking roots. 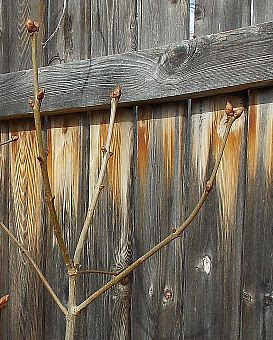 Like the lilac tree, there are multiple individuals coming from the same root structure, taking nourishment from the same metaphoric soil, air and water, but still retaining individuality in the multiple trunks that shoot from that common root stock. The four artists involved in our collaboration did not "join a project". Instead, we found one another through the language of our work, and we grew together, feeding from common earth and spirit, into one multi-branched whole. Our natures branch out with ideas so readily we can hardly contain ourselves at times. In the same way a tree's branches appear different one to the other, we bring diverse viewpoints and perspectives to the wholeness of the project. But the sap, the spiritual food, flows from the same earth-born river of knowledge and soul. From a very practical standpoint we are all well grounded and comfortable in our artist skins and with our down to earth practical natures as well. Each of us has vastly different life experiences and therefore different skills. Without ever deciding who does what, we simply put ourselves to work. If one of us forgets something, another remembers. If one knows better how to get certain things done, the rest take up other tasks. It is all just as natural as a growing tree. So what about those unnatural leaf buds? Those are the product of premature growth. They are cracks in the cosmic egg, premature ventricular contractions, off-key voices in a choir with perfect pitch. They disrupt the balance. When someone asks to join our collaboration, it is frequently someone whose opinions and artwork we respect. In refusing we intend no slight. We simply have a deep understanding of the natural flow that brought us together as well as the nourishment and respect that has glued us together. It is a rare gift to find this. A premature "bud" on our branches can upset the balance from that time forward. It is only with great care and thoughtfulness that we would ever consider new growth. The Creation Migration project is compelling. There is a great deal of interest, at this time, in individual and collective consciousnesses of artists around the ideas of family, ancestry, migration, and creating works from that deep reservoir. When the time is right, and when we find just the right match, we will likely add members to the collaboration. And when that times come, it will be a springtime of growth, not an unnatural moment. That person (or those persons) will brings new skills, collaborative natures, willingness to work, organize and create for themselves and for the well-being of the group. All the above characteristics are important to have in a collaborative project; a project without leaders and followers, but with strong cooperative personalities. We did not know for certain, when we started working together, that it would all fall into place so well; that we would coalesce into a true working collaboration. We had "good feelings" about one another, and we were "lucky". I believe, though, that the key to it all was being able to recognize the commonalities we shared in the heart and depths of our artwork. "The Chant of the Earth, the Voice of the Land," mural on cement, San Francisco, CA. 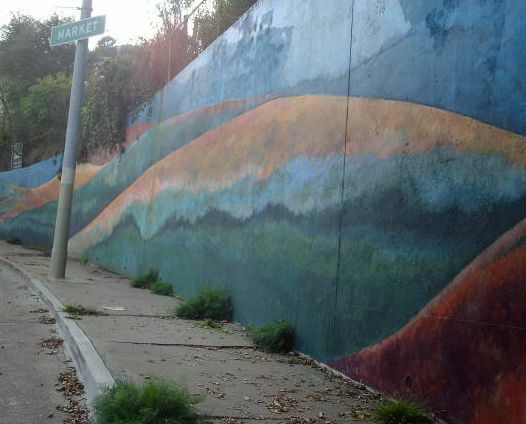 Betsie Miller-Kusz originally painted this large and prominent San Francisco wall (about 1500 square feet) in 1983. The mural was fully renovated in 1993. Using abstract land-form elements, the painting depicts the strata of the earth as it might actually appear behind the retaining wall, referencing the geography of this hilly part of the City. 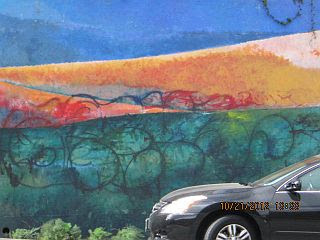 In the fall of 2012, the mural was damaged, once again, with large graffiti tags. Therefore another repair is in process. The wall is located on Upper Market St. in San Francisco. Every day tour buses drive by on their way up to Twin Peaks. Added to the volume of traffic normal to the main thoroughfare of Market Street, the wall is viewed by over 2,000 people daily. It is a greatly beloved institution, and the neighborhood residents and organizations have been very supportive in its continued existence. Shown are photos of the grafitti damage and the repair in process by the muralist, Betsie Miller-Kusz. Work will continue in February of 2013, with final varnishing expected once the weather is sufficiently warm. 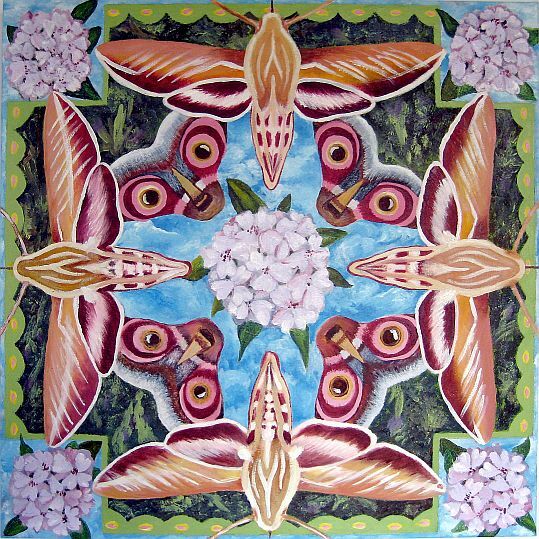 Betsie Miller-Kusz has been painting public murals since the 1970's. 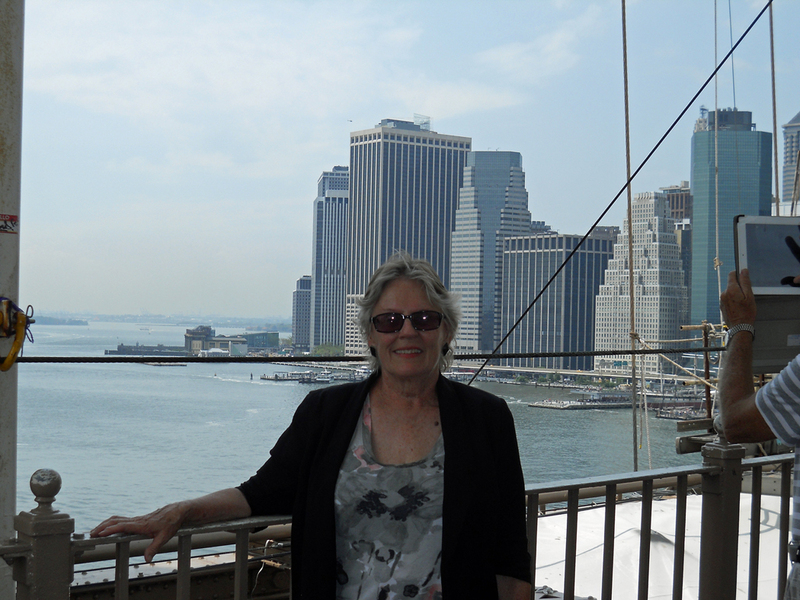 She began with the CETA program in the San Francisco public schools, then moved to large, community generated projects. In addition to the Upper Market St. mural, she has painted murals at the Eureka Valley Rec Center, Mission Rec Center, New College of California, Mission Cultural Center, York St. Mini-Park, and also interior locations around the Bay Area. Working with Russian artists in Leningrad, she painted the last mural in the Soviet Union before its collapse, for the USSR Second Human Rights Conference. Working with Mongolian aritists, she painted the first 5 story modern mural in Ulan Bataar in 1999. Working with Vietnam veterans, she guided the painting of "Nightwatch", a personal expression of images of war. In Guatemala City, she worked with children in the basurero to bring some hope into hopeless lives with a mural. 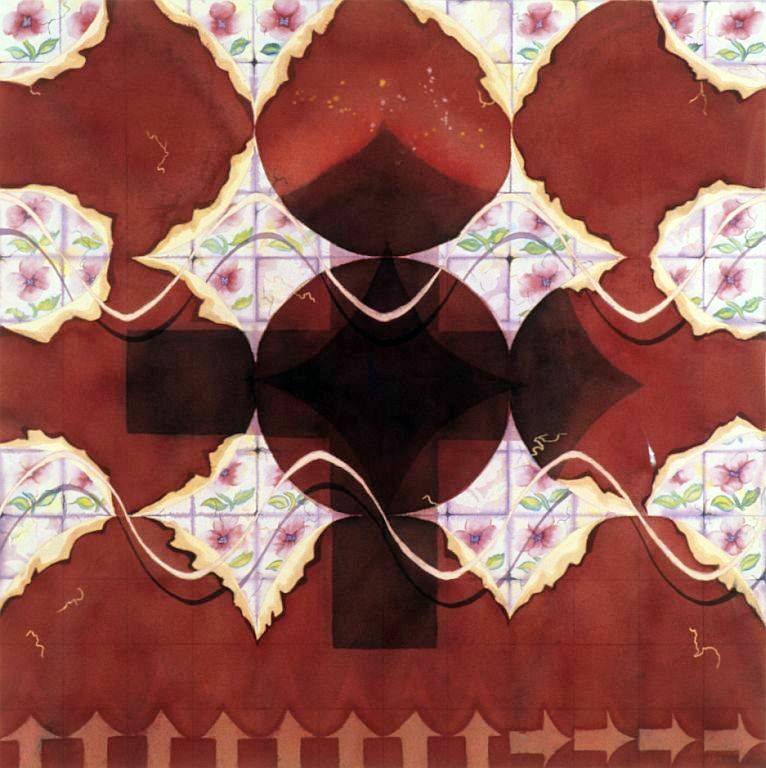 She has also painted extensively in Mexico City, particularly a mural symbolizing the Harmonic Convergence in 1987. She traveled to the remote Delta de Parana in Argentina to paint two murals on community walls in wilderness islands in 2006. In the past few years, she has also painted two murals in her local Jemez Valley: a Virgin of Guadalupe homage, and a large participatory historic mural, "Passages". There are so many ways to describe the pathway to calling oneself an artist and to permitting that artist inside to develop and sustain a vision. The stories that come to the forefront of memory differ from one day to the next. They can flow from childhood, through experiences of and with family, from educational experiences, from travels. There are so many ways of organizing remembrances. Lately some vignettes of my own journey have come to mind that seem like seminal moments in my artistic development. These do not begin in childhood or in my school years, but at a time in life when many things were in flux, and changes came fast. I was 36 years old, recently divorced and in the process of sending my two amazing kids off to live with their dad for a couple of years. This act was excruciating, but the art life that unfolded in the years thereafter was rich and formative. Between the time that I graduated with an art degree from Evergreen State College in Olympia, Washington, until I moved to Seattle three months later, for reasons I still can’t fathom, I took a class in Trigonometry at a local community college. I was three weeks into the course when, Jake, the instructor, began a discourse about the concept of the “number one.” While he presented his ideas from a mathematical standpoint, I went off into a different realm. I considered all the children of the world, of all languages, all races, all philosophies, each one learning this very same concept; that of understanding the meaning of one: the basis of mathematics, the basis of self perception, the basis of separation from others, the understanding of one God, and on and on. It occurred to me that each person must perceive the same concept but through monumental life differences from person to person. What could be a more unifying possibility? What could illustrate more clearly that we are all one at some deep level? This notion went to the core of my being and unraveled a deep acceptance of my own world view. The artist in me was off and running. I never returned to my trigonometry class, but shortly after settling into a little hobbit-house upstairs apartment in Seattle, I painted a large four foot square watercolor that I called “Song to the Number One,” with all the ramifications of its meaning. 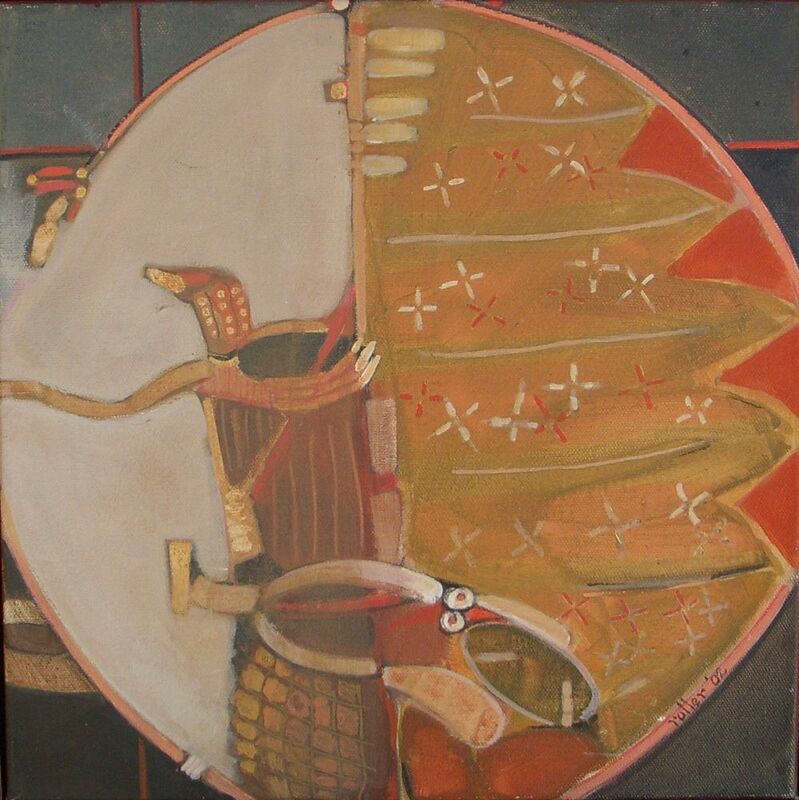 Many of the symbols from that painting still appear in my work today, more than thirty years later. After six months of painting large pieces in a very tiny space, I embarked on the adventure of building my own art studio. Two friends and I leased a half bay in a downtown Seattle (Pioneer Square) warehouse for next to nothing, and proceeded to put up walls, a task we really knew nothing about. A year later, both my friends had moved out and I found myself holding the lease on the space for the next nine years, where eventually we had seven studios filled with serious working artists. We were in heaven. The neighborhood had a frame shop that helped us all out, a plethora of restaurants, the Elliott Bay bookstore with a café and artist’s hang-out downstairs, and about 40 artists in several different studio buildings, all of whom knew and supported one another and played together too. We had art shows in places like the funky OK Hotel on Western Ave, in all kinds of studios and hallways, theaters, and the bookstore. Neighborhood musicians were playing from warehouses to blues clubs. It was a fabulous time for us all, and it lasted until gentrification began in the 1990’s. I was painting large scale watercolors at the time, one of which is on the left in the above photo, a piece called “Lunar Lock,” which won a painting award at the Bellevue Arts and Crafts Fair and now resides in a corporate office in Redmond, Washington. Thirty years later, my son was looking at my website and told me he really liked the DNA painting. “Huh?” I said, “I never painted a DNA painting.” But, after he pointed it out, I have to admit it does look like DNA, although that wasn’t my intent at the time. Now the image is showing up again in the development of a new project I’m working on with three other artists called, Creation/Migration: Stories of the Journey. A few years later I embarked on the big journey of my life—a four month long trip to South America to visit the Andes and the Inca Ruins. This journey fixed the direction of my imagery for all time. In fact it solidified the way I symbolize ideas in my artwork. I stayed in Peru for two months, in Bolivia for two weeks, and in Ecuador for the remainder of the time. Already heavily under the influence of the cultural Hispanic and Native American arts of the American Southwest, I was astonished to find so much similarity in artistic expression in South America. 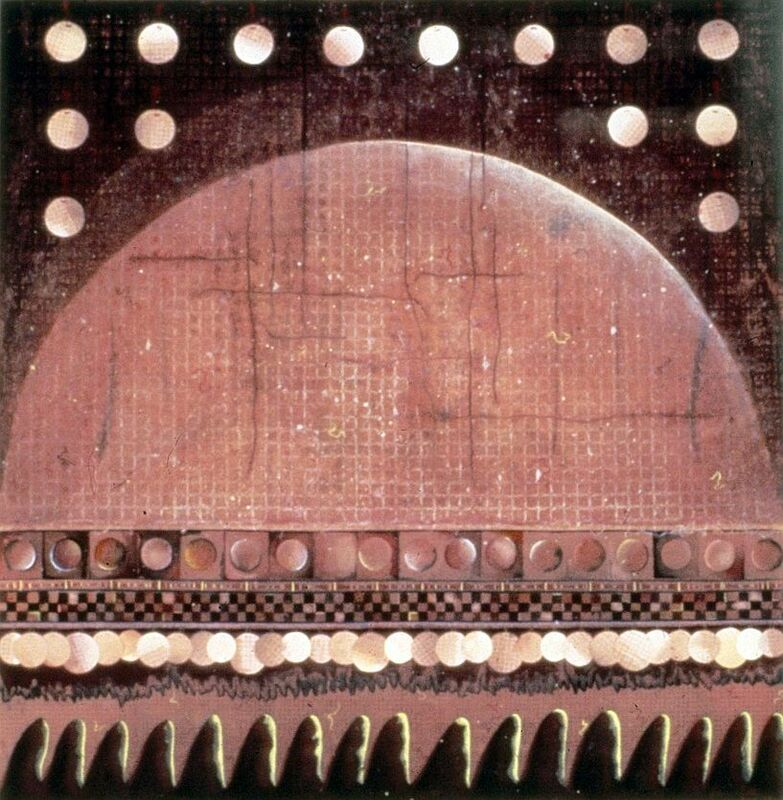 A similar repetition of shapes and symbols was evident in the paintings on pottery, the building methods, the walkways, the circular ceremonial structures, the woven fabrics and the patterns reflecting the daily lives of the artisans who incorporated them into their crafts. All this was accentuated by the clarity of color and sky in the clear, high mountain air. After returning to my Pioneer Square studio, the first painting I painted was called Puka Pukara, named after a ruin in the hills outside of Cuzco, Peru. The pink coloring of those rocks is reflected in the painting, but the symbols are a composite of other experiences along the journey’s pathway. With this piece I began laminating different types of paper together, creating varied textual surfaces. I also imbedded fibers in and on top of the work, and started stitching brilliant little discs to the surfaces. 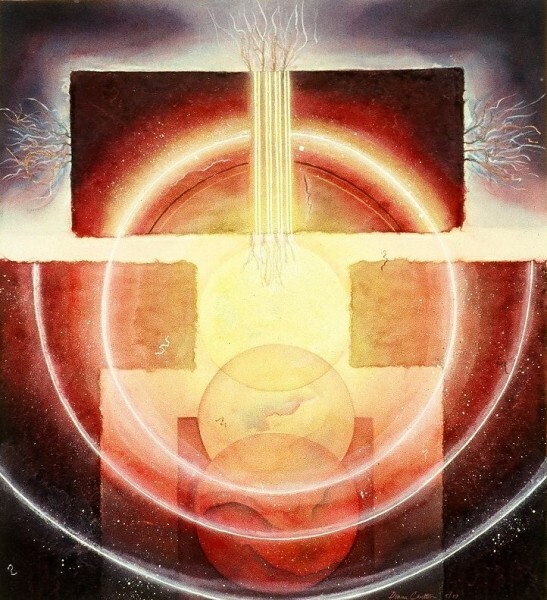 The circle and square became a permanent part of my visual language, representing balancing forces, the matrix and the grounding of the amorphous and ethereal aspects of the work. I also became consistent in using a center focus and seasonal and lunar cycles to speak of renewal, centering and balance of opposites. For many years I utilized this same set of elements in my large watercolor paintings and gradually the language gave my work its signature. I found, in using these elements, a perfect voice for expressing my personal interests in cultural history and in the cycles of the life forms of the planet. In the late 1980s, while I was working as an Artist-in Residence for Washington State, I taught watercolor classes in the state prisons. There I gained the dubious distinction of being the first woman to teach an art class in the maximum security unit of Walla Walla State Penitentiary. I never liked to paint in front of anyone else, even as a teacher, so I rarely did demos. Mainly, I wanted students to develop their own styles, and not try to copy mine. Plus I need total focus when working on a piece, and teaching a class interferes with that focus. But once, while working in Twin Rivers Correction Center, the students asked, over and over again, if I would paint in class. So I laminated several different kinds of papers together and then started layering in the colors. The piece gained its meaning from the circumstance. I called it “Unlocked” and gave it the essence of brilliant light escaping its boundaries. You see, I didn’t like being locked in any better than the prisoners did! Of course there were many stops along the roadway to New Mexico, but the trip to South America and the artwork that was generated by that experience set me on a pathway to New Mexico. It was not until twenty years later and a full lifetime of experiences, however, that I actually made that leap. In 2004 I began making extended trips to the mountains of northern New Mexico. My travels to the region had an immediate effect on my art. I recognized, right away, that the brilliant light of the area required a change in how I used color. After having worked with watercolors for 20 years, I switched to acrylics because I wanted the immediacy and vibrancy they offered. 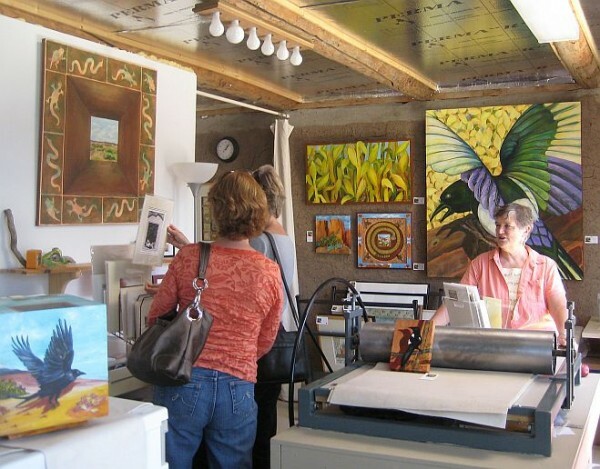 The High Road Art Tour, which I experienced twice as a visitor, heavily influenced my decision about where to live when I made the move to New Mexico. I found the quality of art along the tour route to be far superior to that of other tours, and the longevity of High Road Artisans, the non profit organization that puts on the tour, to be encouraging and impressive. In addition, the high mountain valleys, each with its own village, were beautiful, quiet and inviting, with clean air and multicultural traditions. I found a charming old adobe house to my liking in the village of Chamisal, right in the heart of what used to be the old plaza. The tiny Catholic church that appears on the New Mexico state stamp is right across the street from my house. Many of my neighbors are in their late 80s and 90s, and it is said that their longevity is due to the good clean mountain water we all drink. It is a good life in Chamisal. My studio, when I bought the place 5 years ago, was a dirt floor garage with heavy 2×4 and plywood swing-out barn style doors. Little by little I added a plywood floor, a long closet, and sheet-rock walls on the long walls, leaving the two shorter walls exposed brown adobe mud. 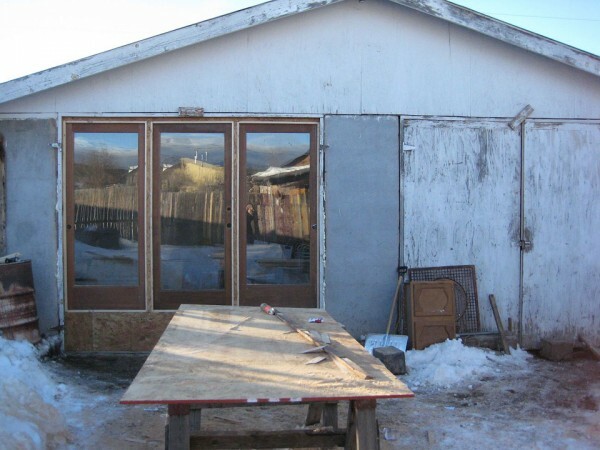 I got some nice long windows and French doors from the Habitat for Humanity Restore and replaced the ugly old heavy doors. Eventually I put in some insulation foam between the vigas in the overhead and voila! For a few thousand dollars spent over a period of four years, I had a lovely work space and still retained a 24′x 9′ dirt-floored storage/work area in the rear. Given that my lovely old house has only one bedroom, this studio space is a blessing and provides an excellent viewing space for my work during the studio tour in September. One of the nice things about all this New Mexico sunshine is the easy accessibility for exposing the photo-sensitive etching plates I use to make prints. I have a press and make small editions of solar etchings with this lovely nontoxic method. The plate is exposed by light and developed in water. What could be more perfect for New Mexico, where there is enough sun all year long to use this method? The natural world and love of the land have always been grounding forces for me. As my love of New Mexico and my relationship to the land grow, I see a circle of wholeness to the story of my journey. The symbols and meaning in my work have remained the same from the beginning. The tools and visual expression have changed somewhat over time. By this time in my life I feel the art and I are not separate. I rarely speak of meaning in my work now, because its evolution has become the language of expression for me. The rest is up to the viewer. The winter 2012 edition of Encaustic Arts Magazine, featuring Harriette Tsosie's work on the cover, also has an in-depth article describing some of the steps along the pathway of Harriette's journey in art-making. Like most artists who work with wax, I was already working in another medium when I discovered encaustic. 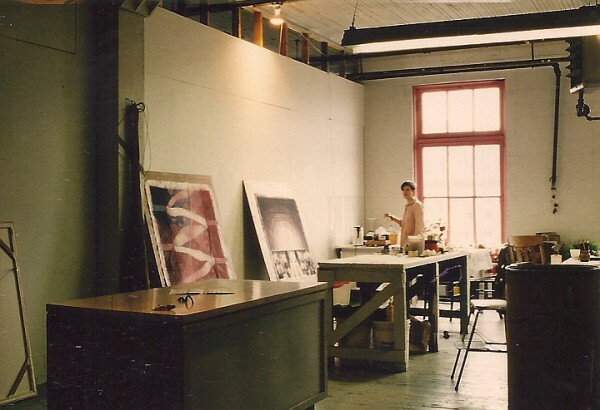 I had studied acrylic painting with jules Kirschenbaum, a New York artist who was "in-residence" at Drake University (Des Moines, IA) when my then sposue accepted a faculty position there. As a faculty wife I was able to take classes without paying tuition. 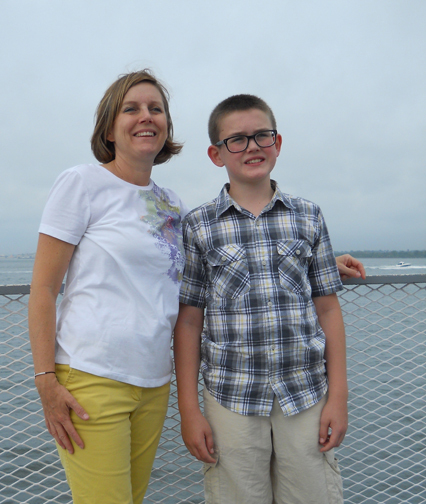 I enrolled in Jules' courses repeat­edly, fully embracing the master/ apprentice relationship. We not only painted, we read and discussed books he assigned. (Mine was Celine's existential Journey to the End of the Night). More than how to paint, Jules showed us how to live as artists. He encouraged our intellectual curiosity. I think most artists have had a mentor like Jules sometime during their creative journeys. Without one, the journey is lonely and difficult. 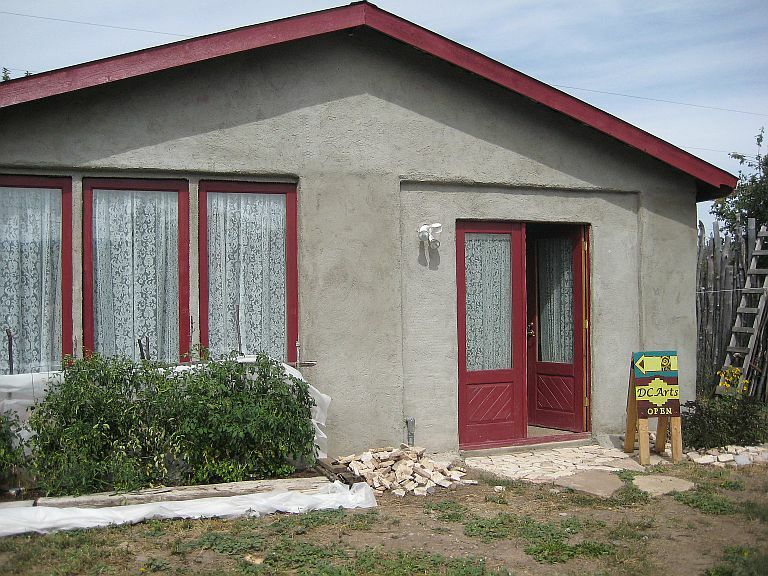 I moved to New Mexico in 1995 and soon bought a small house in a rural area. After Iowa's gloomy interior light, New Mexico made my eyes happy. I was surrounded by beautiful landscapes and fasci­nating cultures. For the first time, I had dedicated studio space--a small concrete block building on the property --and time to paint on the weekends. (I worked full time until 2003). I continued painting with layers of acrylic washes, as Jules had taught me. 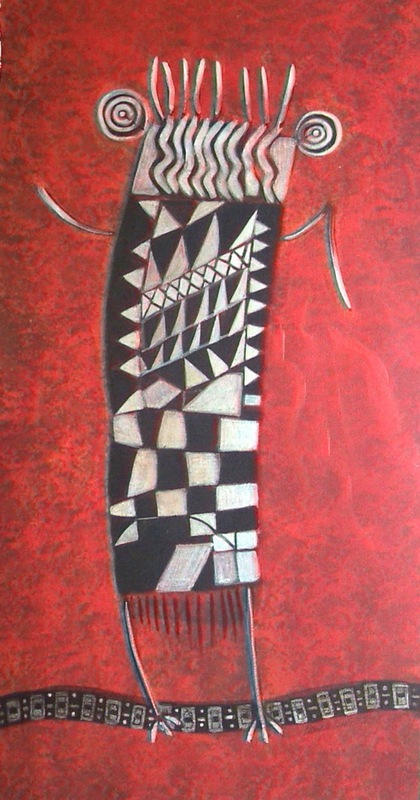 The layers gave both physical and psychological depth to the work. I liked that. I didn't want to do work devoid of meaning. I saw painting as wordless communica­tion, believing that recognizable images commu­nicated more powerfully than abstract ones. By working in a series, I explored my subjects from multiple perspectives. 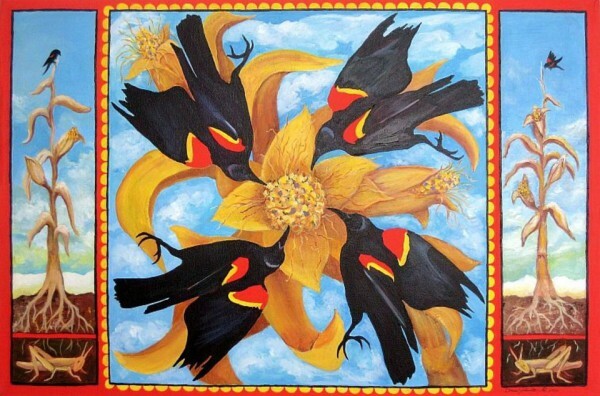 "Migration" was the first series of acrylic paintings I completed after coming to New Mexico. It was based on a piece of music by Carlos Nakai and Peter Kater. 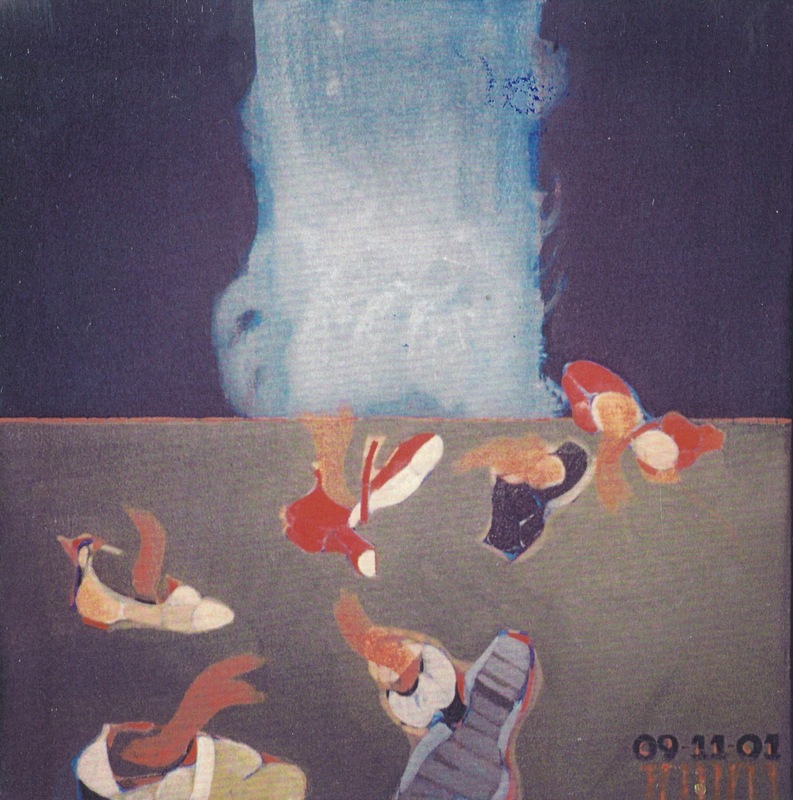 It included twelve 12" x 12" canvases, referencing the movements of their work. A young artist --Shawna Moore-- moved in next door and befriended me. 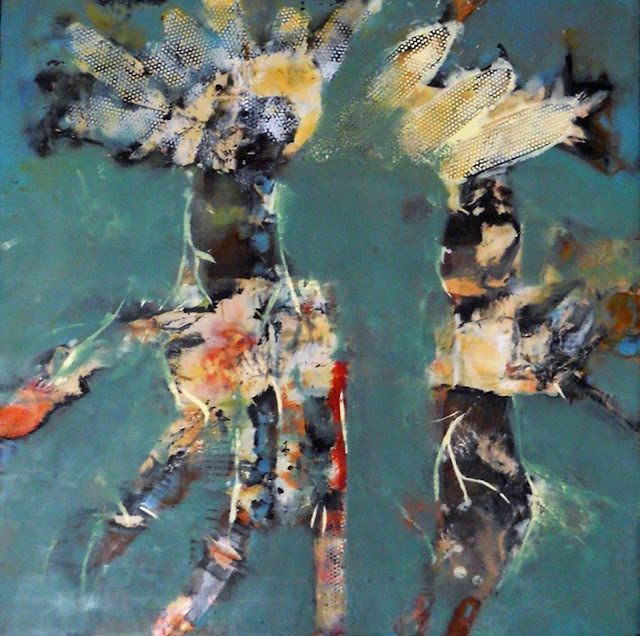 She took an encaustic workshop from Santa Fe painter Ellen Koment (Encaustic Arts Magazine, Summer 2012 issue). 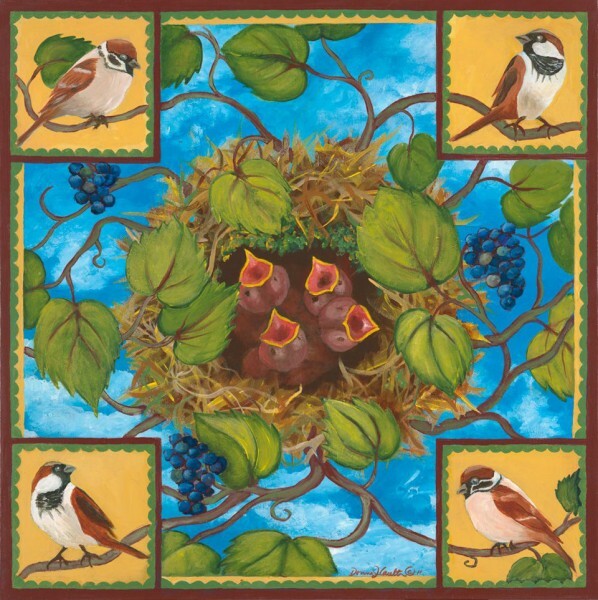 I had never heard of encaustic, but I loved the paintings Shawna made with it. They had layers. There could be series. I took the workshop. 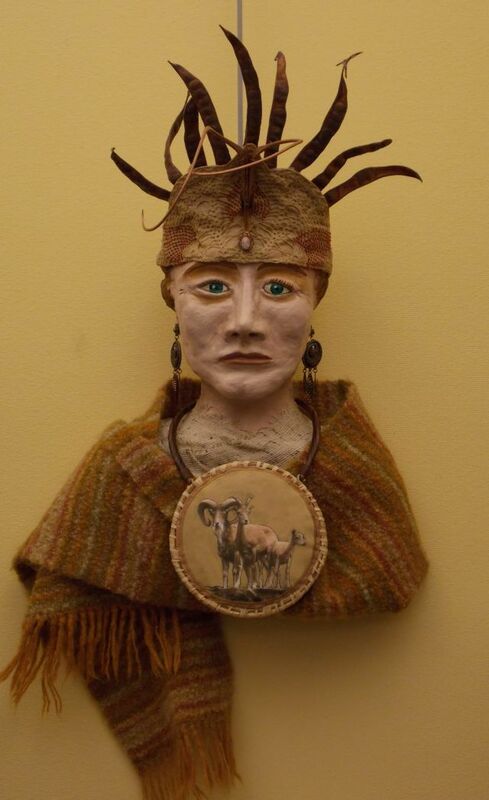 In 2004 I married a Native American man I had been dating and moved to his pueblo. He built me an incredible studio, looking out on the mountains. For a while I continued painting with acrylic, completing a series on baskets, then one on petro­glyphs. 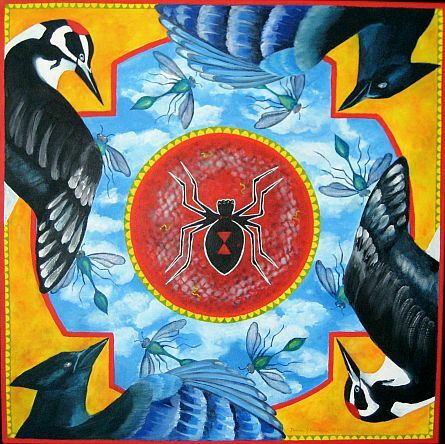 The baskets referenced aspects of my life and psyche such as the Native ceremonies. I felt they were alive. The petroglyph series inspired a pilgrimage to California's Little Petroglyph Canyon for a firsthand look at the ancient images pecked in rock. I dreamed they came to life at night, left the rocks, and moved around. My husband's culture continues to influence me profoundly. Techniques I practiced with acrylic served me well as I began working with encaustic. Layering the wax felt natural. I loved the immediacy of the torch, the very idea of playing with fire. Since I had been trained to paint representationally, (set up a still life, draw it, and then scale it up to the canvas) that is what I tried to do. Even though landscape had never been my subject matter, I now lived in a landscape I couldn’t ignore. 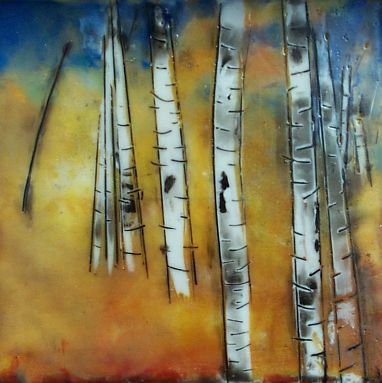 Aspens became the subject of my first encaustic series. I carved into the wax, pushing pigmented wax into the grooves to create the tree trunks, cross-hatching for the bark. Tedious! Creating images with encaustic proved difficult. Once I lit the torch, my images moved, melted, sometimes even disappeared! I was no longer in control. That proved to be a good thing; a freeing thing. 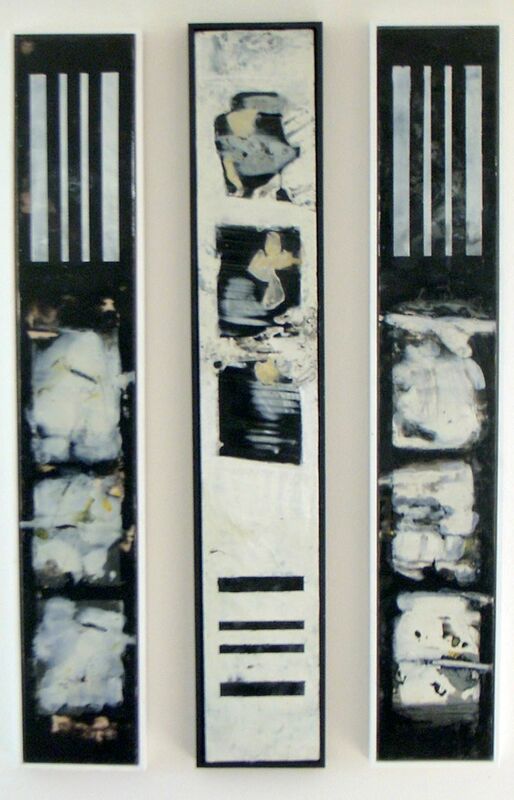 The longer I worked with encaustic, the more abstract my work became. My subject matter changed dramatically: alternative realities (i.e. premonitions) archetypes, symbols (particularly alchemical symbols), myth and language now captured my interest. I read Joseph Campbell and explored Alchemy: embedded older pieces of work into the wax, a technique I learned from Laura Moriarty (see “Attraction”). Today the same subject matter still attracts me and I work in these categories. 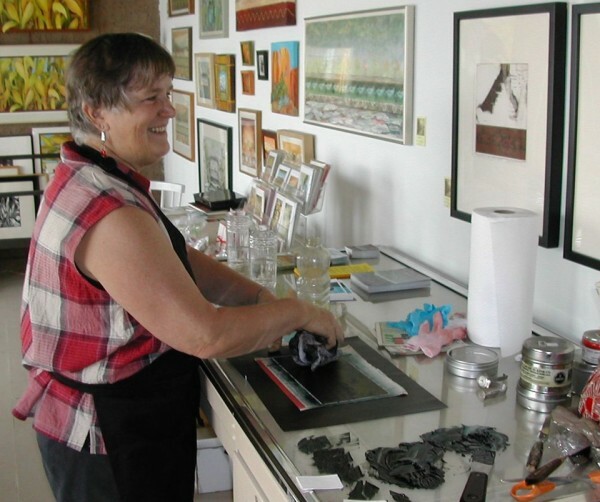 Continuing to explore encaustic, I enrolled in an R&F workshop in Texas (Gina Adams) and took a five day monotype workshop from encaustic master painter Paula Roland in Santa Fe, adding to my skill set. Encaustic is seductive. For me the challenge has been to remain focused on content and not become distracted by the any techniques, tools, gimmicks and special effects an artist can achieve with it. In 2009 I moved to Albuquerque and got involved in its rich arts community. I collaborated with other artists to produce the "Mining the Unconscious" Project (http://www.miningtheunconsious.org), a series of three exhibitions and 20 public programs unleashed in Santa Fe in 20011. The project was responsive to the long awaited publication of Carl Jung's Red Book journals. It created an ongoing dialog between the participating artists and the larger community. From the experience I developed a close relationship with three other artists working in other media. We're currently exploring identity issues through another series of exhibitions and public programs, "Creation/Migration: Stories of the Journey". We've all had or DNA analyzed through National Geographic's Genographic project. We now know the migration routes our distant ancestors took out of Africa and are further researching our respective genealogies. We're interested in the places myth and science intersect: do our DNA results contradict what we have believed about who we are? 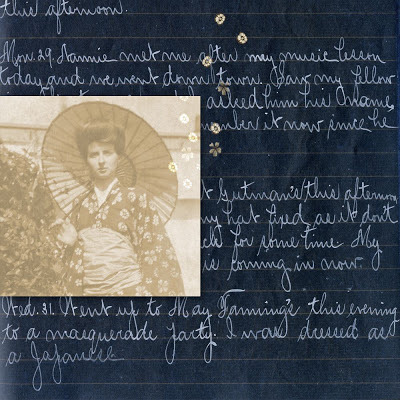 My work for this project is based on my paternal grandparents' diaries and love letters, which are more than 100 years old. 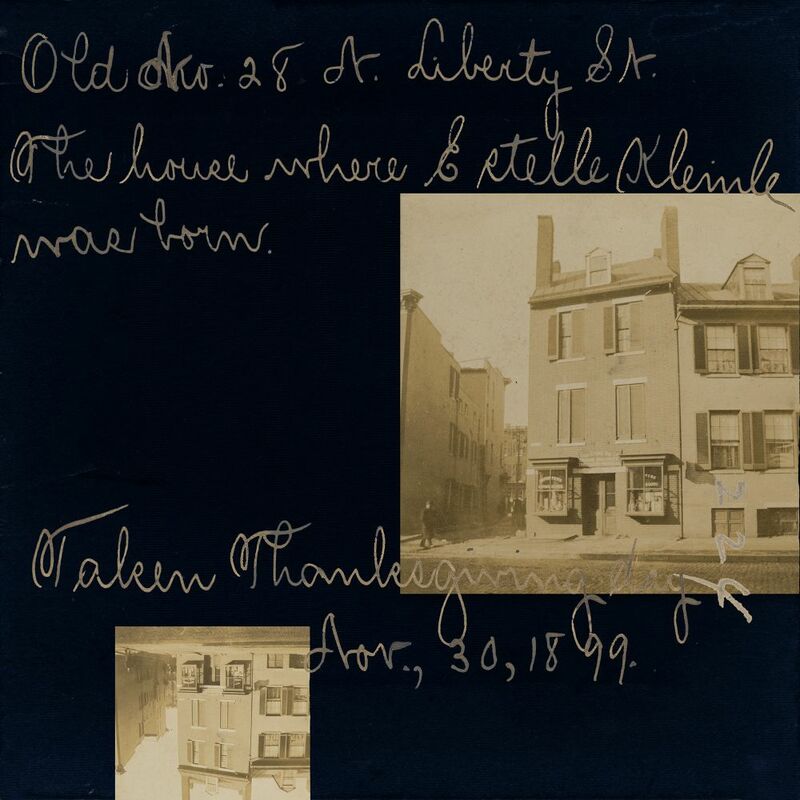 They are a fascinating window to life in Baltimore and New York City in the early 1900s. The work will include encaustic, collage, acrylic and giclee.